How to collect logs and crash dumps from HALB appliance? 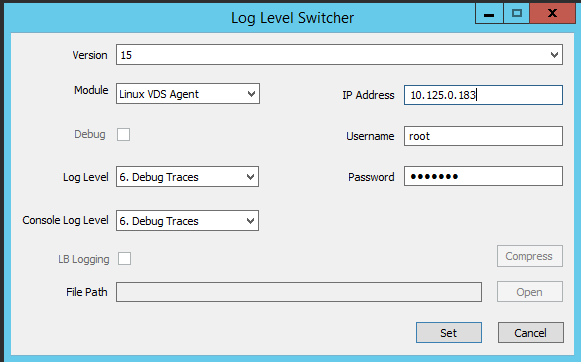 Download attached LogLevelSwitcher tool on the Windows machine. In Parallels Remote Application Server Console navigate to Farm > VDI Hosts > right-click the host > Enable logging > hit Apply. Note: if logging is already enabled, disable it, hit Apply, enable it and hit Apply again. Log will be collected here: /var/opt/Parallels/log/VDSAgent.log. Note: to login directly you should switch console by pressing ALT+F1. Next time the crash of 2XVDSAgent occurs, dump will be collected here: /var/opt/Parallels/cwd/core. Extract the files and launch WinSCP.exe. 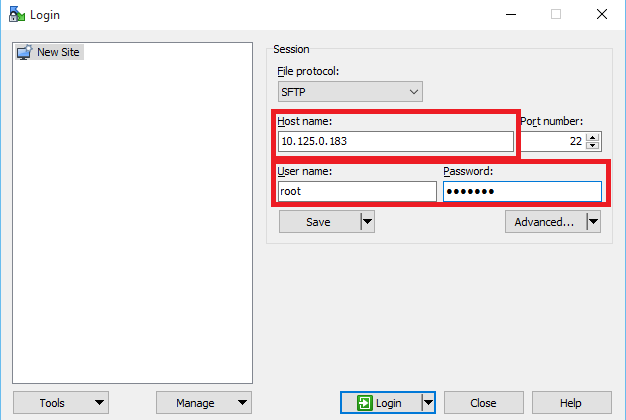 In the Session pane specify Linux Appliance IP address, username and password and click Login. Note: we recommend copying the whole "/var/opt/Parallels" folder to ensure that all required files are collected.